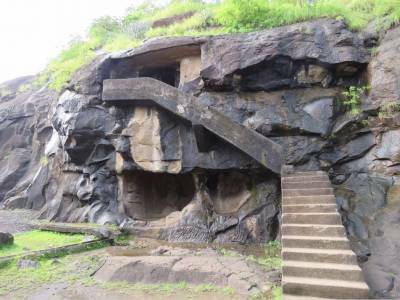 Pandav Leni Caves, or simply Pandav Caves, as Leni in Marathi translates to caves in English, is an astounding structure of 24 rock cut sculptured caves, situated 24 kilometres from the city of Nashik in Maharashtra. 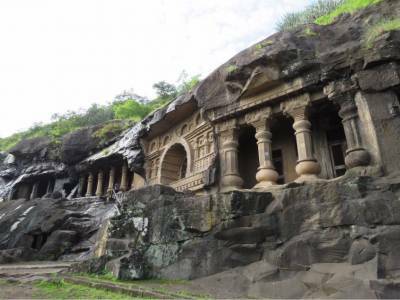 These caves are believed to have been carved between first century AD and third century AD, however additional inscriptions and intricate sculptures were added later on in the 6th century AD. 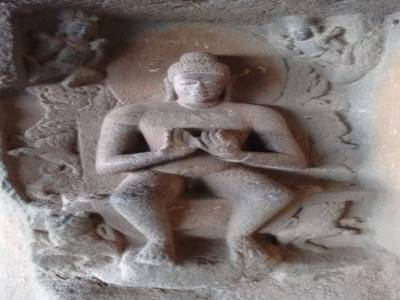 These intricately carved sculptures in the caves were a product of Buddhist spiritual practises and the caves themselves served as monasteries. Of the twenty four caves carved and built from single rocks, all but one served as monasteries with a sacred sanctum for imparting knowledge and teachings of the Buddha. Only cave 18 served as a shrine with the Buddhist stupa. The inscriptions and embellishments in stone on the caves are reflective of the changes Buddhism was going through during that period, from a period of early promulgation of the religion to its practice and teachings to followers and devotees. The intricate carvings on the pillars are standing witness of the peak of the Buddhist teachings and the effect it had on the devotees and followers. This wonderful structure of art and sculpture was patronized by the royalty of that era and it is them who undertook the commencement and construction of the rock cut architecture. The caves are an interesting mix of both Hinayana and Mahayana sect of Buddhism and hence the art that has been produced is an interesting confluence of both sects. Although most inscriptions are illegible in the caves, however, some of them have comprehended and they record the names of the patrons and royalties of that era who contributed and supported the construction of these caves. 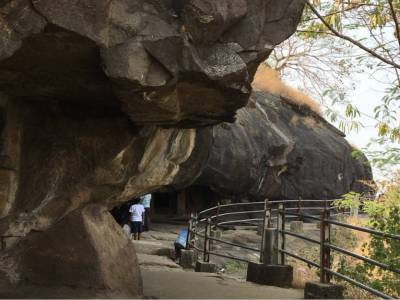 Pandavleni caves is an important location for Buddhist pilgrimage as well and although the name has similar references in Hindu mythology, the two are completely unrelated. 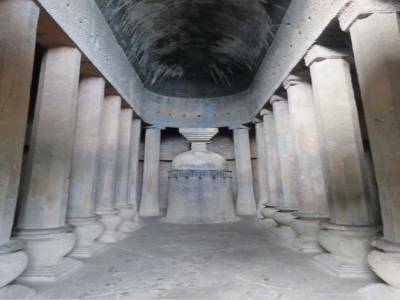 Get quick answers from travelers who visit to Pandavleni Caves.